Washington Business Journal writer Kasra Kangarloo covered the exciting new partnership between startup incubator and seed fund 1776 and Montgomery County's Office of Economic Development with the article "Montgomery County teams up with tech incubator 1776 to leverage innovation." 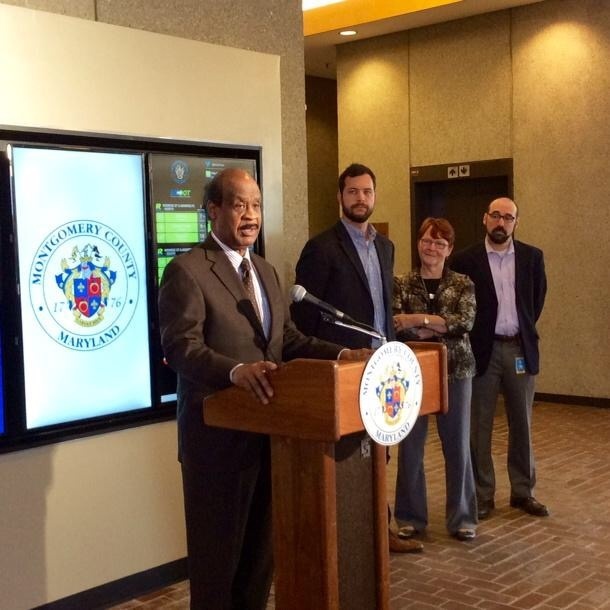 The recent partnership between TransitScreen and the Montgomery County Department of Transportation (MCDOT) that resulted in the recent unveiling of multiple TransitScreen displays in the Montgomery County area in part inspired this innovative collaboration. We are looking forward to continuing our partnership with Montgomery County, and all the other collaborations from our startup friends at 1776 that will arise from this new partnership. 1776, the global startup incubator and seed fund, and Maryland’s Montgomery County today announced a partnership to transcend borders and strengthen the region’s innovation economy. Through the partnership, 1776 and Montgomery County will open new opportunities for startups to implement their products in one of the region’s fastest growing communities and offer the county frontline access to the most promising startups working in entrenched industries such as education, energy & sustainability, health, transportation and cities. The partnership was inspired in part by successful collaborations between 1776 member companies and Montgomery County. TransitScreen, a software platform to help users determine their most efficient public transportation options, has been working with Montgomery County to promote sustainability and public transit, and recently announced a partnership with the Montgomery County Department of Transportation (MCDOT) to install TransitScreen displays on public buildings, including libraries and recreation centers.